A beautiful slim Gustavian period sideboard featuring; a balcony top with dentil trim, over a single inset panelled door flanked by raised trim arched panels, with decorative dentil trim apron, and standing on square fluted feet. 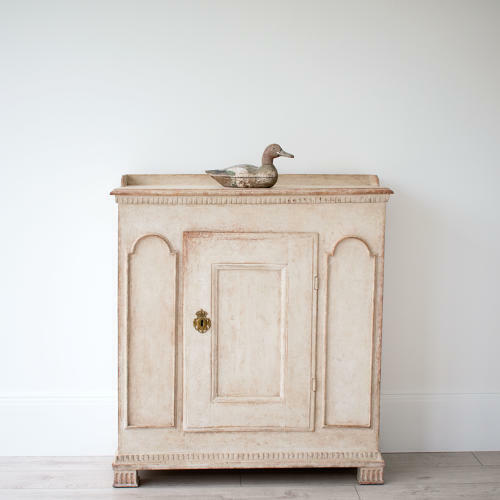 Perfect for a narrow entrance hall or alcove. Swedish circa 1800.